Environmental and organizational changes are putting new demands on training. Training must change to support new organizational structures within a complex and changing business and social environment. Evaluation of training must be multilevel, customer focused, and support continuous improvement of training.The challenge is to provide meaningful data that enables assessment of customer satisfaction, business impact, and return on investment. Brown, S. M. (1998). 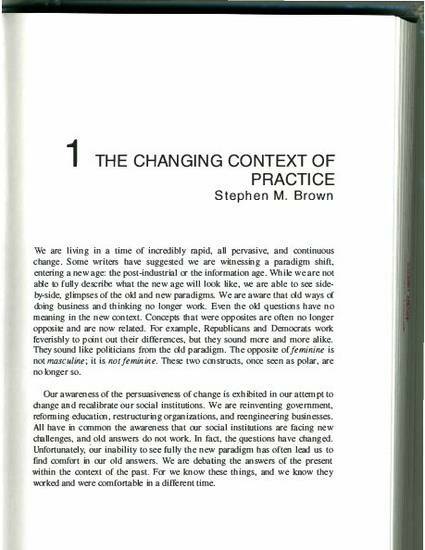 The changing context of practice. In Brown, S. M. & Seidner, C. J. (Eds. ), Evaluating corporate training: Models and issues (pp. 3-17). Boston: Kluwer Academic.